C.A.C. China provides your business with an incredible assortment of commercial dinnerware patterns, colors, and styles. 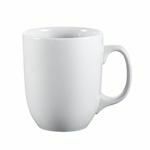 If you run a fast-paced, trendy restaurant or provide dining service in a hotel, club or resort, you will find dinnerware to meet your requirements for both design and durability. Browse through the C.A.C. China Collections and discover just the right pieces to that will best showcase your delicious menu items. 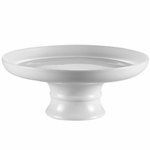 CAC RCN-RT10 White Divided Sauce Plate 10 1/8" x 6 1/4"